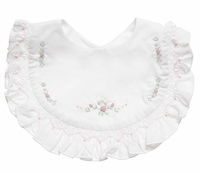 This beautiful new white smocked baby bib is made by Sarah Louise, a leading British designer of beautifully detailed baby clothes for more than 20 years. It features a delicately smocked ruffle surrounding a lovely hand embroidered floral design. 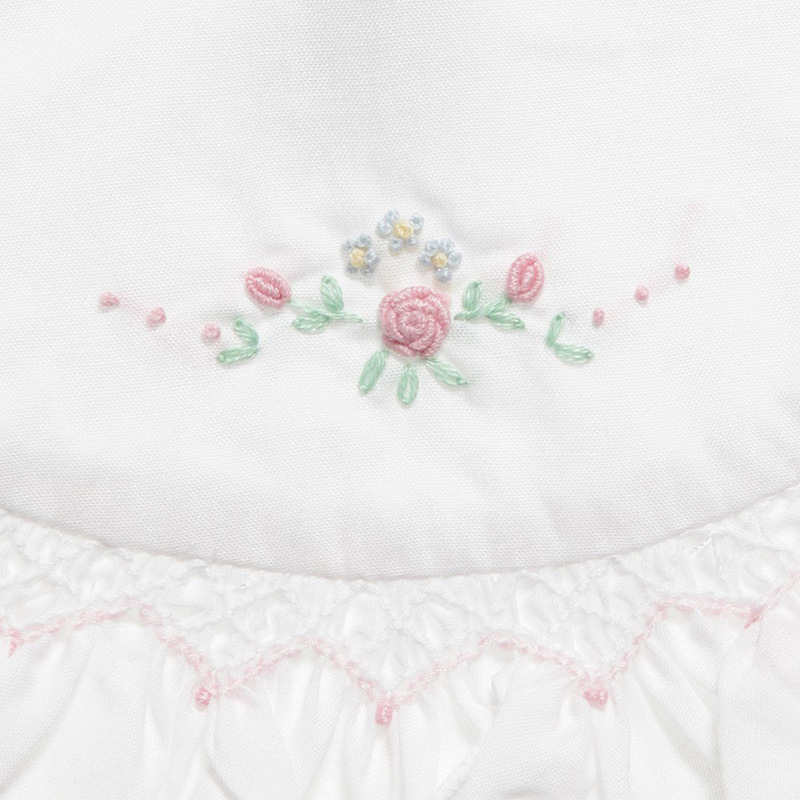 Coordinates beautifully with any of the Sarah Louise white smocked dresses, bonnets, and diaper covers. Note: This lovely bib is also available in pink and ivory. See below.